Hurry and print these rare High Value Hasbro coupons before they are gone! 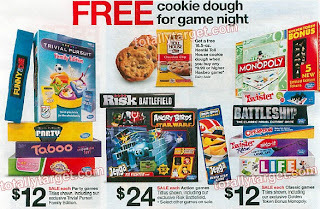 Plus Target has an incredible sale starting 9/15 on Hasbro games! See the deal scenarios below. $5.64 for both after coupons, cartwheel, & freebie! $6.60 for both after coupon, cartwheel, and freebie! $12.24 for all four (4) items after coupons, cartwheel, and freebies!